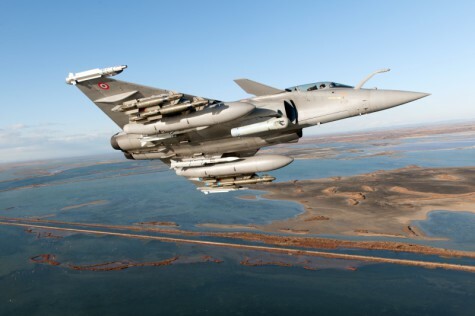 PARIS --- the Directorate General of Armament (DGA) approved the Rafale's new F3-R standard, in accordance with the objectives set out in the contract awarded in early 2014 to Dassault Aviation, Thales, MBDA and Safran. A major milestone had already been reached in October with the launch of the F3-R upgrade projects for all 144 Rafale aircraft currently in service. The first ten Rafale F3-R aircraft, four of which will be delivered before the end of the year, will be used by the Air Force and the French Navy to perfect their operational implementation, already initiated alongside the test teams of the DGA. As for previous standards, the new F3-R standard brings major software and hardware evolutions. -- Second, the new generation TALIOS pod enhances its capabilities in the field of target detection, recognition and identification by day and night for high-precision air-to-ground strikes. The new F3-R standard also takes into account operational lessons learned, notable for the Modular Air Ground Armament (AASM), as well as interoperability and regulatory requirements. The continuous improvement approach of the Rafale thus continues to reinforce the omnirole  capabilities of this combat aircraft, which has been successfully engaged in the most demanding overseas theaters of operations. This new standard has already strengthened Rafale's export competitiveness, as the Rafale's first three international contracts were concluded on the basis of the F3-R capability profile. The Rafale has the ability to perform all combat air missions during a single flight.